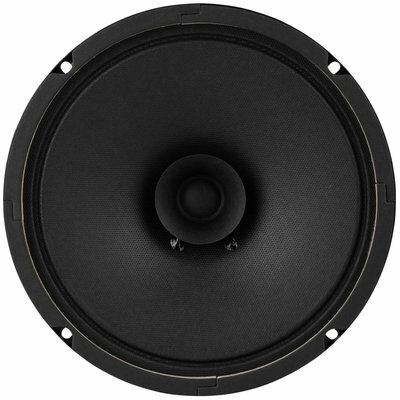 This GRS full range, wide dispersion loudspeaker is ideally suited to voice and background music. 12 oz. ceramic magnet, 1" aluminum voice coil. 8 ohm impedance. A full range, wide dispersion loudspeaker ideally suited to voice and background music. 12 oz. 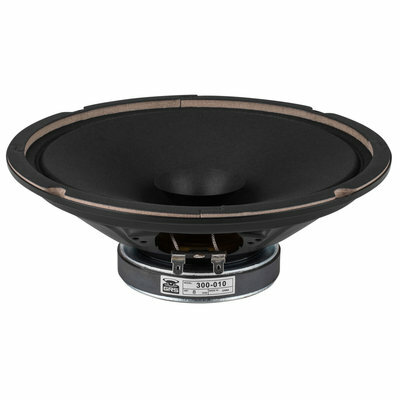 ceramic magnet, 1" aluminum voice coil. 8 ohm impedance. 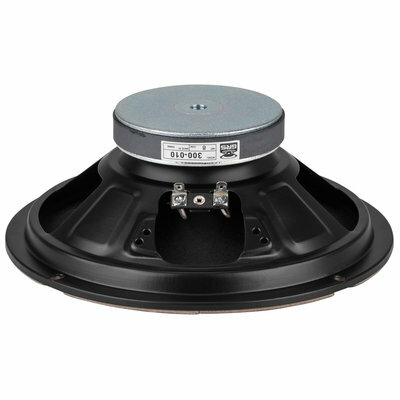 Capable of handling 10 watts RMS, 20 watts maximum input. Response: 45-15,000 Hz. EIA standard 4 hole mounting. 2.8" depth, 8" O.D., 7.7" CTC mounting holes, 7.1" cutout.